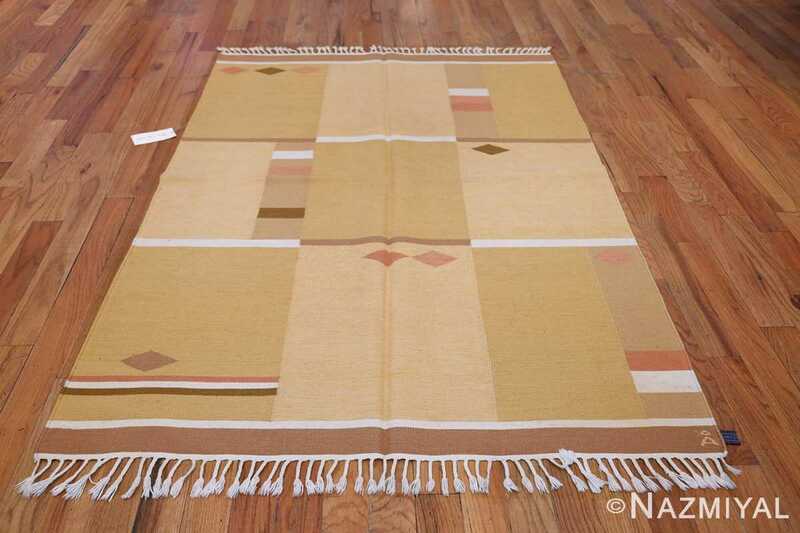 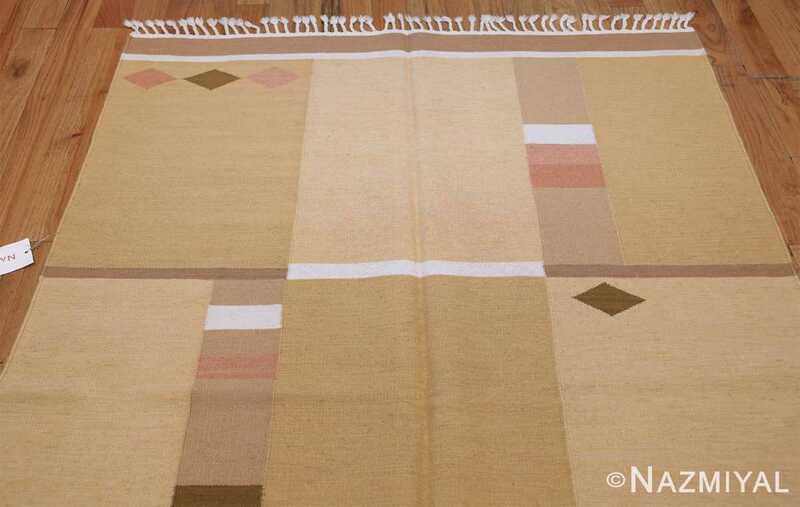 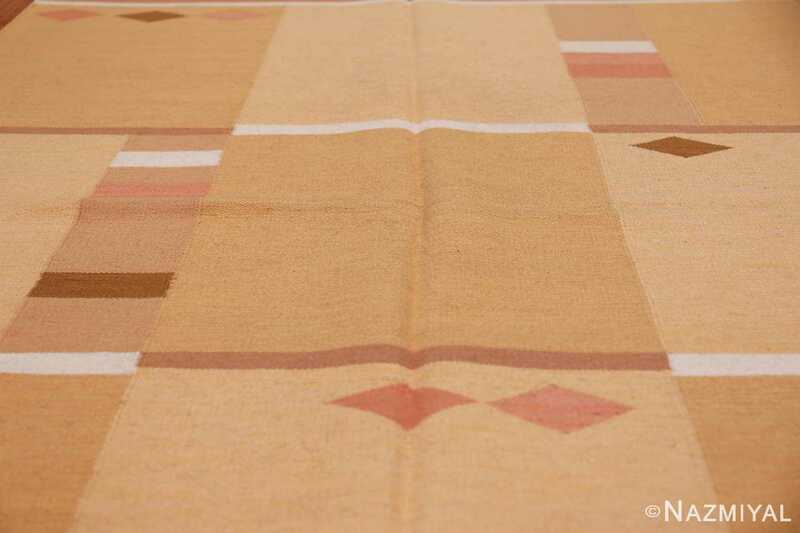 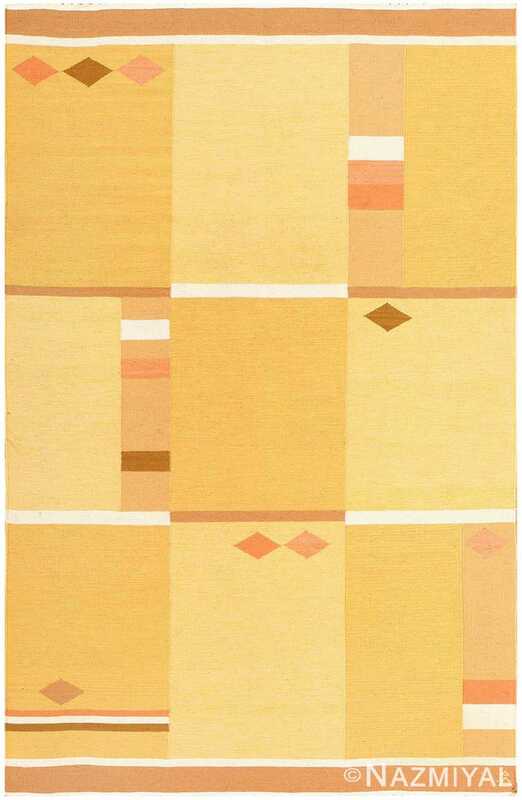 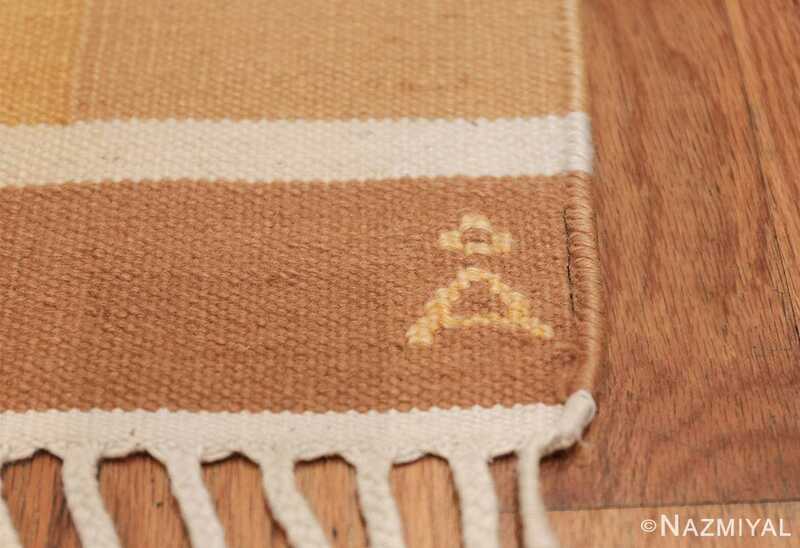 Vintage Rug by Anna Joanna Angstrom, Origin: Sweden, Circa Mid 20th Century — Like many other elegant Swedish rugs, this one , by weaver Anna Joanna Angstrom, allows its simplicity to speak for itself. 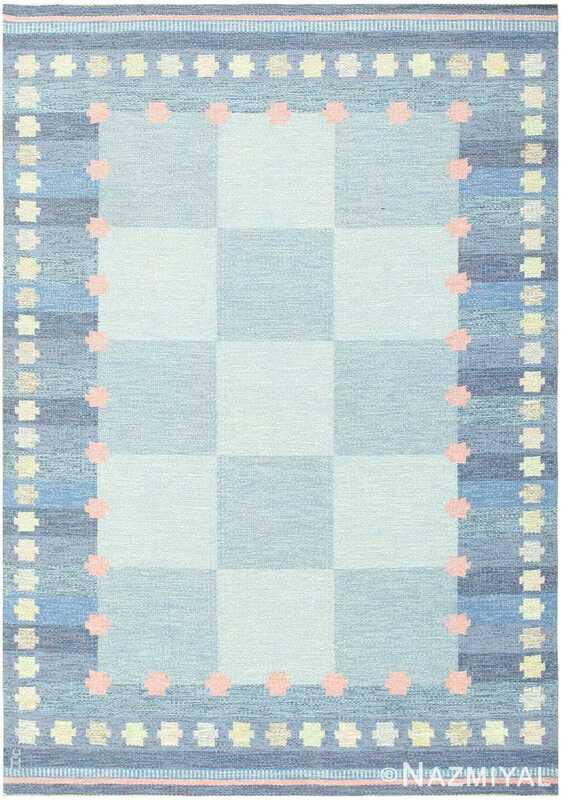 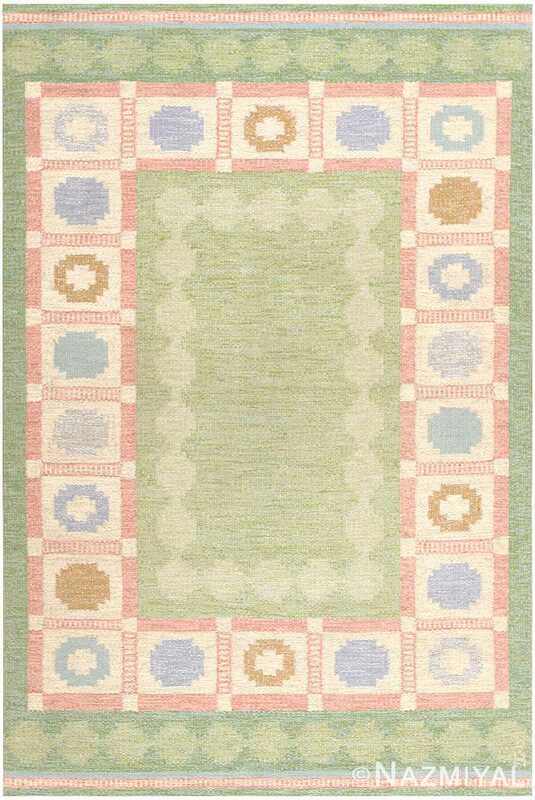 Featuring only a handful of colors, the rug stands out in its abstract blocks and forms. 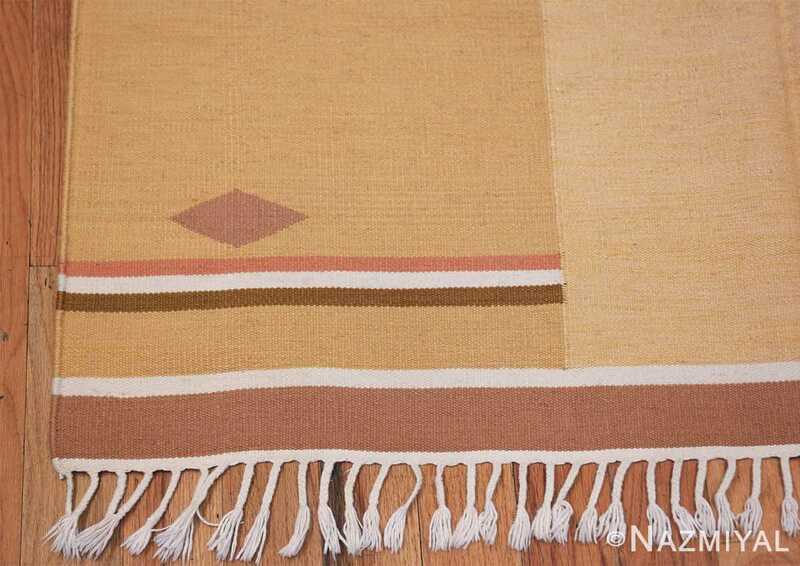 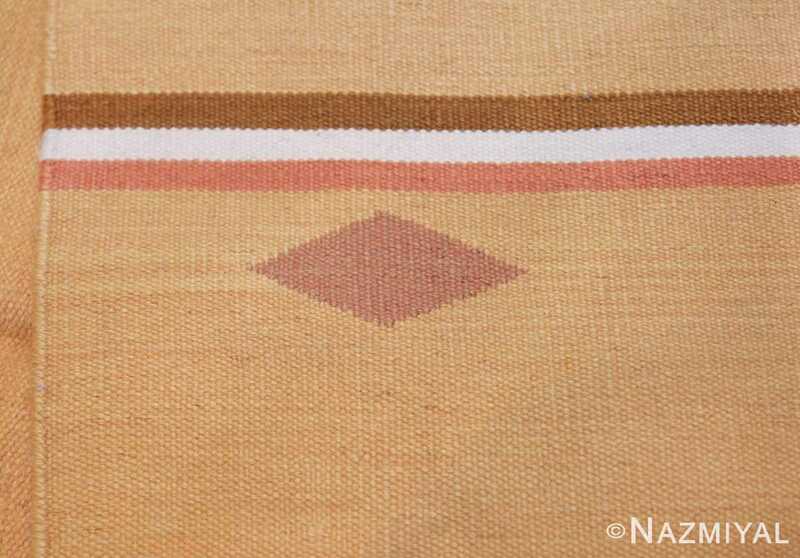 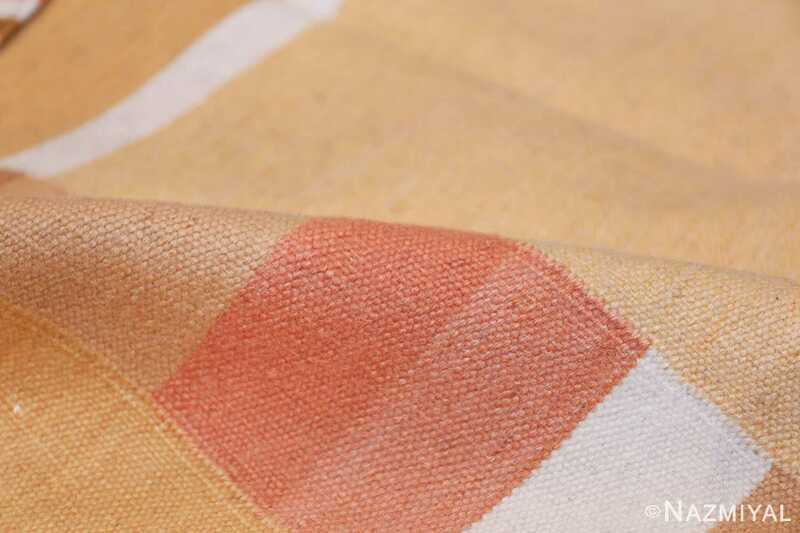 With rich gold, soft sand and tawny brown standing out as the primary hues, the rug paints a graceful landscape that calls to mind images of luxurious beaches and lightly-colored forests. 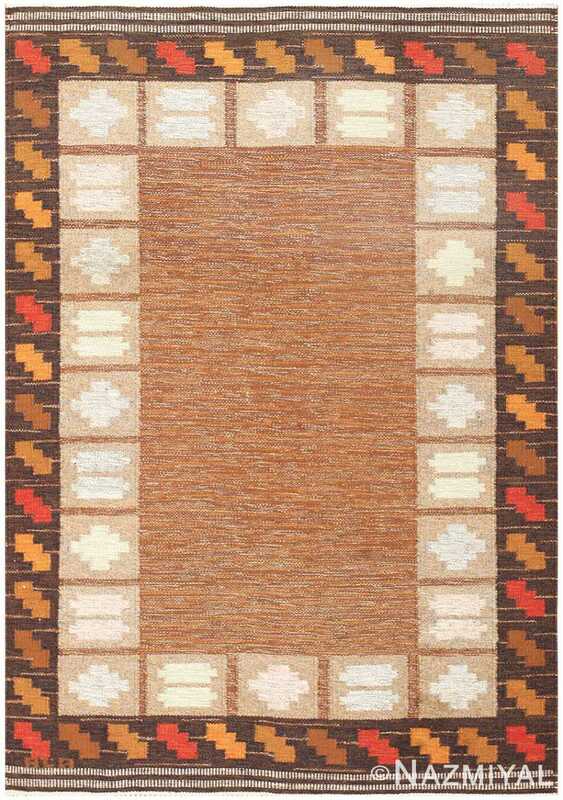 The relatively straightforward patterns in this rug are broken up by thin white lines of movement and the presence of horizontally arranged diamonds, each a different color to provide appreciating eyes with a more vibrant viewing experience.